Pr. Steve has an Masters of Divinity (M.Div) and his MA in Theatre Arts, and his years in ministry have taken him from the streets of the Tenderloin in San Francisco to the streets of Danville. Steve has previously served as the President of the Interfaith Council of Contra Costa County and remains actively engaged in deepening Interfaith connections within the community. Pr. 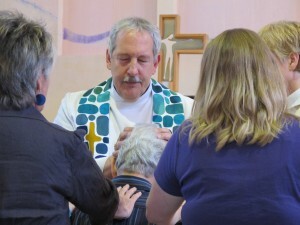 Steve provides compassionate pastoral care and is a gifted preacher who enjoys creative worship. Steve has maintained a long-standing involvement in and passion for justice advocacy and is a teacher of Tai Chi Chuan. Steve and Bev have three sons. Theologically empowered within his own tradition, he feels free to explore, learn about, encourage and celebrate other faith traditions. Gary grew up in a small farming town in Wisconsin and left home at 19. Church music and accompanying singing congregations have always been part of his life. 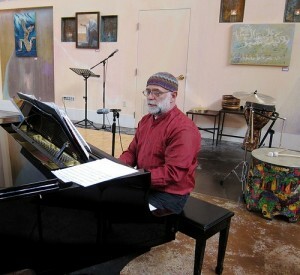 Beginning as a church musician at age 12, over the course of his career he has served in parishes from Guatemala, Honduras, the islands of Guam, Hawaii, Guaymas, Mexico, Los Angeles, Santa Barbara, Las Vegas, San Francisco and Oakland to his current position at Peace Lutheran as its Director of Music. A former Franciscan Friar, Gary studied music and liturgy at UCSB, Holy Names College, and the Franciscan School of Theology. Gary also served in the US Navy from 1978–86. In the last 18 years he’s been active with the San Francisco Lesbian/Gay Freedom band and the San Francisco Gay Mens’ Chorus. Gary has performed in Seattle, Vancouver, BC, Philadelphia, Denver, Miami, SF, New York, Chicago, Koln, Germany, in parades, concerts, field shows, protests, and Presidential Inaugurals just to name a few! Gary is single, and loves BBQing, picking firewood and growing edibles in his yard.